Home to more than 12,000 residents, Ridgefield Park is a quiet village in the middle of Bergen County in New Jersey. It is one of the four municipalities in New Jersey which falls under a village government. Established in 1892, Ridgefield Park is quite famous for its Fourth of July festival. The community of Ridgefield Park is said to have one of the longest celebrations of this festival in New Jersey. It is also one of the oldest among other neighbouring villages and boroughs. Thus, the month of July is always a sought-after season among villagers. 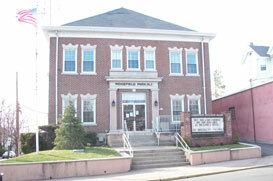 According to the 2010 U.S. Census, Ridgefield Park has 4,851 households or 3,274 families. Its form of government can be classified as City Commission which is composed of up to 5 members with 4-year term each.